If someone has passed, please call us immediately at (480) 696-6883. We understand that the death of a loved one, especially when unexpected, can often leave you wondering what to do. We created this “Funeral Planning Guide” to give you an idea of some of the important decisions you’ll need to make. Please rest assured that a professional Funeral Director will meet with your family personally to provide guidance and direction, and educate you on all of the options available to best honor the life or your loved one, and help you begin to heal. A visitation, often called a viewing, is an opportunity to interact with friends and family usually with the casket and deceased loved one present. This can be done at one of our beautiful facilities, or at another location of your choice. In the case of cremation, a cremation casket can be purchased, or a casket with a special insert can be rented from the funeral home. Though a number of people choose to have this open to the public, you are certainly permitted to invite only close friends and family. A visitation is usually held the night prior and/or just prior to the funeral service. 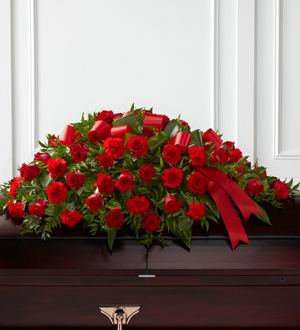 A Funeral Service is the opportunity for family and friends to get together in a more formal setting and celebrate the life of the lost loved one through written speeches, song, and shared memories. With that said, we encourage families to commemorate their loved one’s life in the way they see most appropriate. A funeral usually takes place in one of our funeral chapels, or an offsite church building. The word funeral implies that the body is present. A memorial service is just like a funeral service, except the body of the deceased person either isn’t present, or is present after the cremation has taken place. This is a wonderful opportunity to meet with close friends and family to share memories and offer support for one another. Like a funeral, this is usually done in one of our facilities or a local church building of your choice. 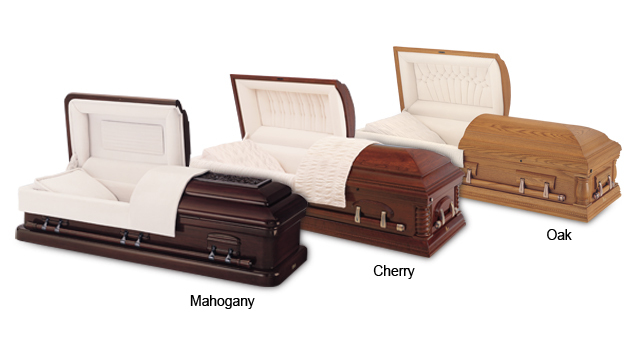 Choosing the right casket is a matter of personal preference for the person being honored. That’s why we offer a wide variety of high quality bronze, steel, copper and wooden caskets. 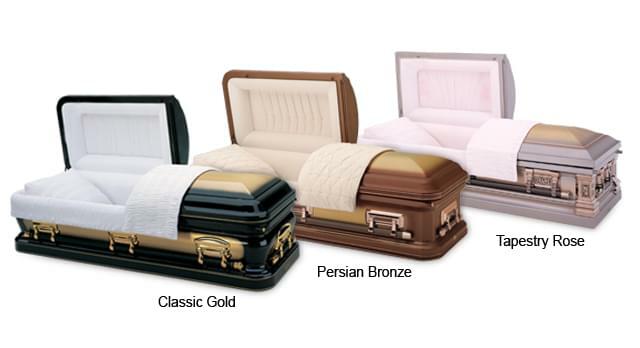 Caskets come in a variety of metal options. Precious metals such as bronze and copper offer a premium finish with extremely durable construction. Beautiful Stainless Steel and carbon steel options are also available in a variety of colors and cuts. We understand the sacred nature of cremation, and provide you with the best selection of urns. From bronze to marble to wood, we are here to help add that personal touch. Crafted from the highest quality sculptural bronze, many of these urns are cast from original artwork using the “lost wax” method. 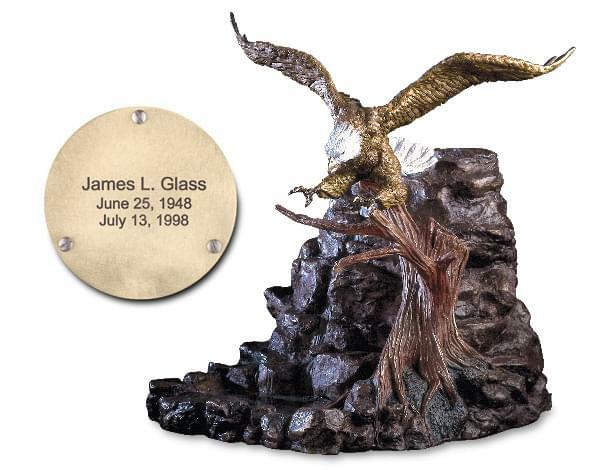 Each cast bronze urn is a unique and lasting memorial to a loved one. 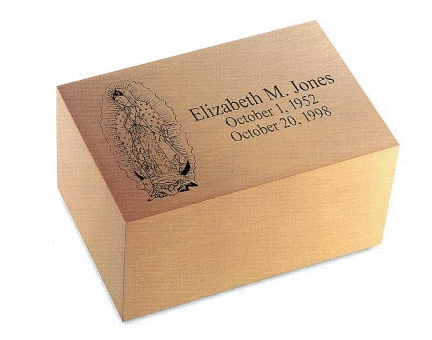 Some prefer the cremated remains of their loved one be buried, or placed in a niche. Others prefer their loved one’s cremated remains be scattered at one of their favorite landmarks. 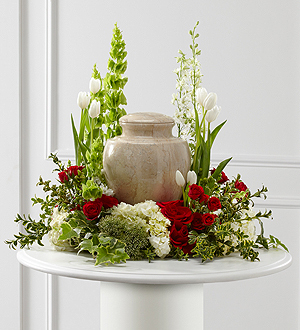 Regardless of your preference, we have hundreds of urn options to choose from. Bunker’s offers a wide selection of quality burial vaults to meet almost any need and budget. Premium vaults combine the finest in engineering, workmanship and materials to offer vaults of unsurpassed beauty, strength and protection. Standard vaults combine innovative technology and meticulous attention to detail. Basic vaults are crafted from a wide range of materials, ensuring that an affordable choice is available to suit the needs of your loved one. High-strength concrete, stainless steel, and high-impact thermoplastic combine for durable inner protection in these double-reinforced products. These single-reinforced urn vaults feature concrete construction combined with plastic-reinforcement for strength. Bunker’s works with some of the most talented florists in the valley to help families find the perfect floral arrangements to honor their loved one. Most families will purchase a floral casket spray. The casket spray is places on the closed end of the casket when it’s open, and centered on the middle when the casket is closed. Floral easels are beautiful arrangements. They can stand alone, or two matching easels can be used. When two easels are used, one is placed at each end of the casket or on either side of the table where the urn is displayed. 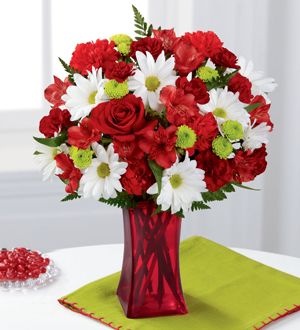 Bouquets are beautiful floral arrangements that can be set on a table, held, or displayed on a floral stand. 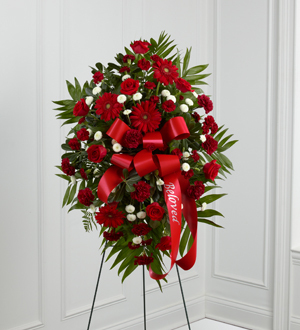 An urn arrangement is made to surround the urn on display at a memorial service. 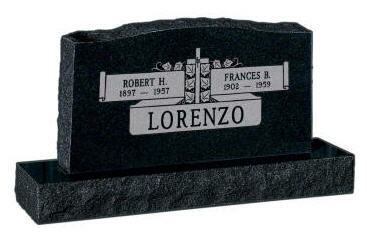 Bunker’s offers beautifully made headstones and permanent memorials. 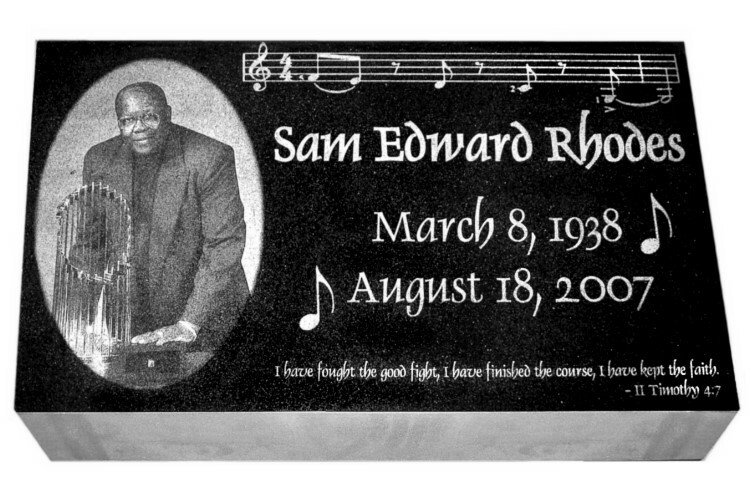 Permanent memorials come in a number of colors, and have many personalization options. When choosing a permanent memorial, it’s important to communicate with the cemetery on their rules and regulations before making a purchase.